An order of religious sisters from Whitby is celebrating its 100th anniversary this year. In 1915 Margaret Cope was inspired to found the Order of the Holy Paraclete, a community dedicated to the Holy Spirit, at Sneaton Castle, with the mission of education and monastic prayer. Sister Janet Elizabeth of the Order of the Holy Paraclete says, “The First World War had barely begun when a small group of strangely dressed ladies came to Whitby looking for a large building to rent. I’m sure people must have wondered if they were enemy spies! An order of religious sisters from Whitby is celebrating its 100th anniversary this year. In 1915 Margaret Cope was inspired to found the Order of the Holy Paraclete, a community dedicated to the Holy Spirit, at Sneaton Castle, with the mission of education and monastic prayer. Sister Janet Elizabeth of the Order of the Holy Paraclete says, “The First World War had barely begun when a small group of strangely dressed ladies came to Whitby looking for a large building to rent. I’m sure people must have wondered if they were enemy spies! On January 29th 1915, St Hilda’s School and the Order of the Holy Paraclete were founded and four Sisters and about thirty girls moved in to the Castle’s draughty quarters. The Sisters had £50 and a great deal of courage, faith and initiative as they transformed the buildings into both convent and school. The Sisters’ first Chapel was up two flights of spiral staircase at the top of one of the turrets, the ‘rabbit warrens’ of the attics were converted into dormitories and monastic cells. One new Novice wrote to her parents that she had a beautiful view of the sea from her window. She did, if she stood on her bed and put her head out of the dormer window! 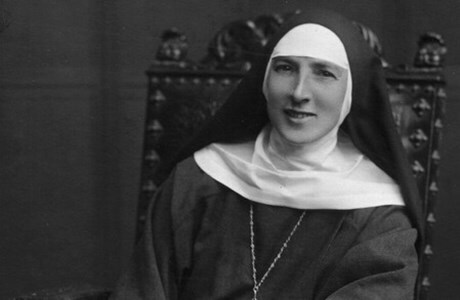 “Our Foundress, Mother Margaret, was a remarkable woman – she was only 29 when she founded the Order. When the then Archbishop, Cosmo Gordon Lang, asked her whether she was not too young to be founding a new religious Order, her feisty reply was, ‘They say you are rather young to be an Archbishop, my Lord!’ Her vision was to found an Order based on the wisdom of the past from St Benedict, St Francis and the Celtic Saints, but incorporating beliefs about democracy and the rightful emancipation of women. “From those early beginnings, the Order grew and spread and over the hundred years we have worked in South Africa, Rhodesia/Zimbabwe, Swaziland, Ghana, and Sweden. The Sisters founded schools, clinics, hospitals, babies’ homes, retreat centres and teacher training colleges. In South Africa they opposed Apartheid so that the races could come together and in Rhodesia, they were warned of an impending massacre and fled during morning assembly with only the clothes they stood up in. In Ghana they helped mothers in childbirth and looked after orphaned babies until they could return home and eat the local food. Schools were set up, vocational and academic, and local people trained in women’s centres. Wells were dug. In England Sisters did work in prisons, parishes, hospitals, universities and in mental health. Alongside all this work, the Sisters lived faithfully their dedicated lives of prayer and worship. The Order of the Holy Paraclete is celebrating its 100th anniversary with a Centenary Flower Festival from Friday 17 to Sunday 19 July at Sneaton Castle, Whitby. On Saturday 17th October, there will be a Celebration Eucharist at in York Minster led by Archbishop John Sentamu, and with a sermon by the Rt Revd Paul Ferguson, Bishop of Whitby.